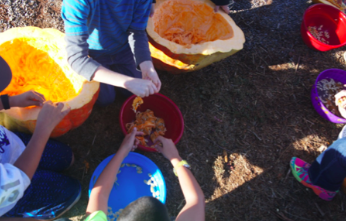 This service highlight was originally posted by the California Farm to School Network and was written by FoodCorps Service Member Monica Drazba with University of California Cooperative Extension, Central Sierra. 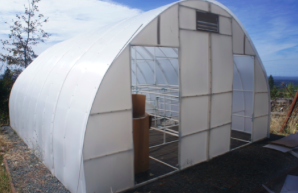 Read on to learn about how Gold Country is bringing farm to school along the Sierras. At the beginning of September I moved to El Dorado as the county’s first FoodCorps service member. “El Dorado?” I pondered when offered the position, “where is that again?” Like a true millennial I “Googled” it, and realized to my surprise that I knew the place. “It’s that region you drive through to get to South Lake Tahoe. That in-between place-- the foothills!” Actually, by ‘knew the place’, I really meant that I peered out the back-seat window while my parents drove along Highway 50 on my childhood vacations. Like many FoodCorps service members, I was not raised in the area where I currently serve. This may seem like a trivial detail, but in the community development sector where success is centered on bringing people together, it meant that I was ignorant to a whole lot more than how to get home and the location of the closest grocery store. Other than my three supervisors, I had no community contacts, and to make matters worse, I grew up in the Bay Area suburbs which further disqualified me from being ‘in the know’ in this rural area. I quickly realized though, it wasn’t about me. 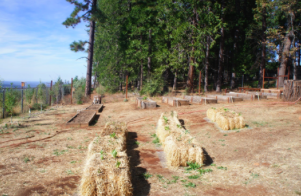 As I worried less about successes and failures in the short-term, I saw that the communities in El Dorado County are already bringing the farm to school - and have been doing so for the last several years! There are so many popular Farm to School Programs happening throughout California, but in this post I want to highlight the local heroes, the people, organizations, and local businesses that make school gardens work for the long-term. The excitement surrounding the gardens is reinforced with the Black Oak Mine and Camino Unified Superintendents and facilities and maintenance staff. They believe the school gardens are essential for teaching practical, interdisciplinary life-skills, and support the gardens in any way possible. Earlier this year there was an act of vandalism at Northside Elementary garden, and the following Monday two men from the district facilities and maintenance staff were constructing a new fence with donations from District Board members! At Camino Elementary, the district supports the school garden by recognizing it as a classroom and devoting the same attention to it as the indoor spaces. The gardens are supported from the top-down and bottom-up to create a sustainable environment for the students. It amazes me how much joy and positivity surrounds the school gardens. Each week parents, teachers, and maintenance staff come up to me, checking on the gardens, and say, “Are you going to harvest that broccoli soon?”, “Where does the food go?”, and “Last week my child told me that we need to plant mustard greens in our home garden!” The gardens are community focal points that bring continual surprise and excitement into students’ lives. It is an honor to work with communities who see value in setting up farm to school connections. On that initial Google search way back in April, I read that El Dorado means the golden one. I didn’t realize the correlation until I started writing this piece, but I believe that term perfectly describes the communities here. Never before have I lived in a place where so many individuals are interested in enriching and improving their community. I am inspired and grateful to learn from them and work with them, and urge you to experience this beautiful region as well. 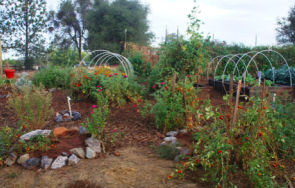 To me at least, El Dorado is no longer “that in-between place on the way to Tahoe”--it is a blossoming network of little golden communities who show how to bring the farm to school in an community-led way.